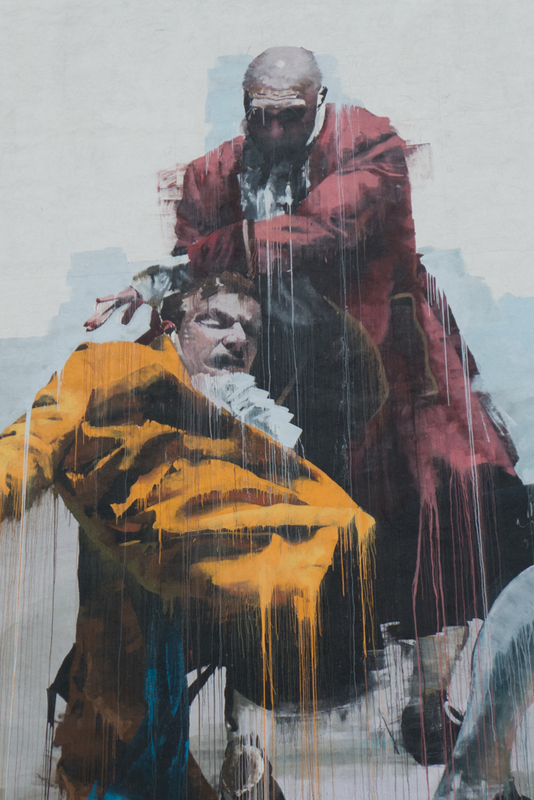 There are a number of new gable paintings in the west district of Copenhagen including this work by the Irish artist Conor Harrington on the end of a building in Tullinsgade. The animals on a gable in Gasværksvej are at the entrance to a school and are by the Belgian artist Roa and the bird on a building a few blocks to the west on Oehlenschlægersgade is by the Chinese artist DALeast. The cross-layering of colours across the gable in Saxogade is by Maya Hayuk from Brooklyn and the figures above the Central Hotel on Tullinsgade are by Huskmitnavn from Copenhagen.